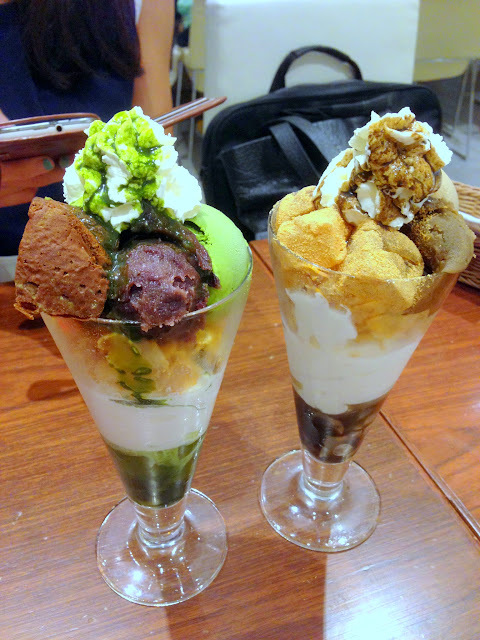 I was surprised that I actually enjoyed the parfaits at Nana’s Green Tea. I had them before years ago when they were still in Jurong. The light plain vanilla soft serve was a good foil for the crunchy cornflakes- a dry component that doesn’t glide particularly well down the throat. 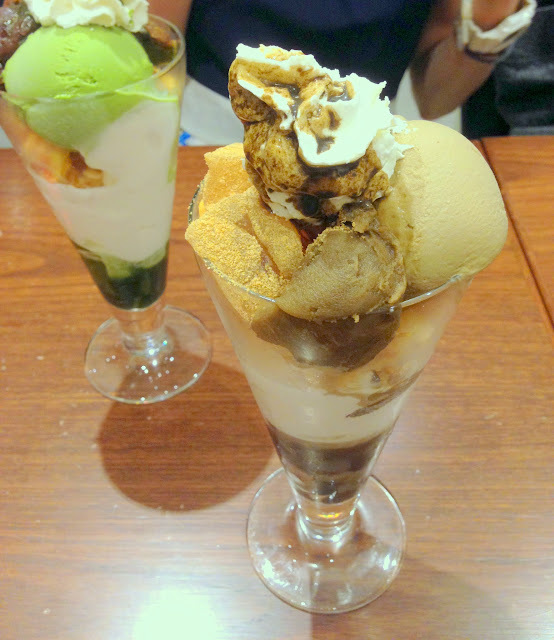 The scoops of green tea ice cream and hoji-cha ice cream were also great. The hoju-cha ice cream, in particular, was thick, creamy and had the comforting toasty flavour that I associate with hoji-cha. The green tea ice cream was slightly off Tsujiri’s delicious green tea soft serve, but still delicious nonetheless. Downsides: I thought the green tea cake could have been more moist, and the warabi mochi were nothing like what I had in kyoto. These were disappointingly chewy. Between the cake and the warabi mochi…. definitely the cake. Worth a try if you are looking for dessert at Plaza Sing.